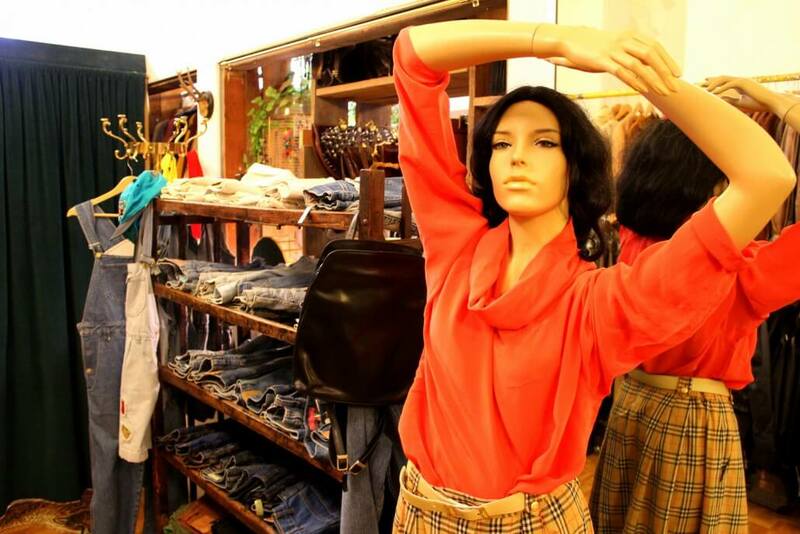 Never was vintage as trendy as it is now, in fact it has been ever since sustainable consumption became a thing. Indeed, why should we buy everything new when there’s so many treasures from decades past just waiting to be discovered? Also, it’s a lot of fun browsing through local vintage shops on the hunt for the perfect dress or accessory. 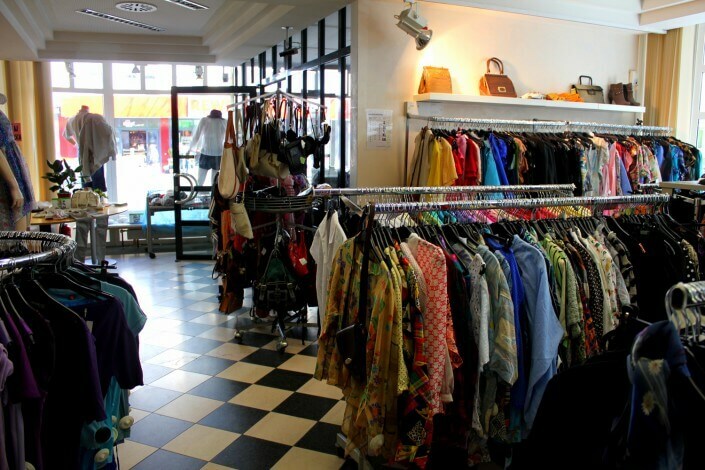 Especially in Cologne, which is home to a number of superb vintage stores. So many, in fact, it’s not easy to decide which one to visit first! 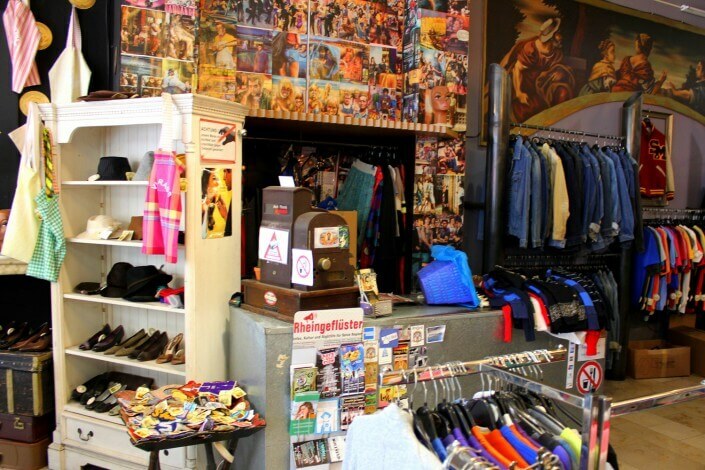 Here’s a guide to Cologne’s vintage jungle with my top four recommendations. 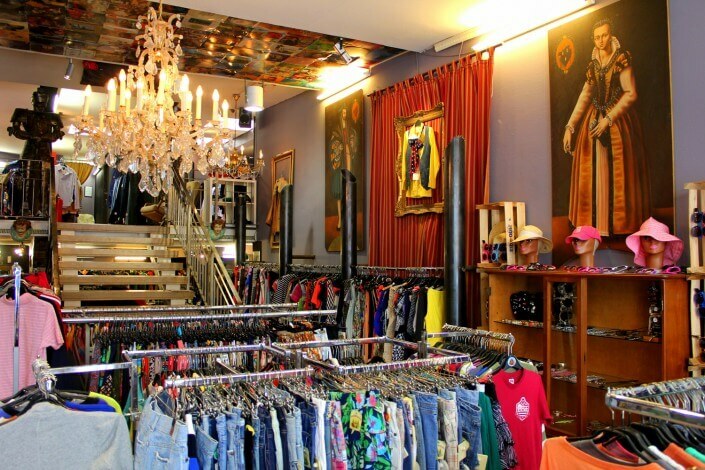 This store on Hohenzollernring is not just smack bang in the city centre, it’s a genuine vintage institution. Stepping through the doors you almost literally enter a time machine. 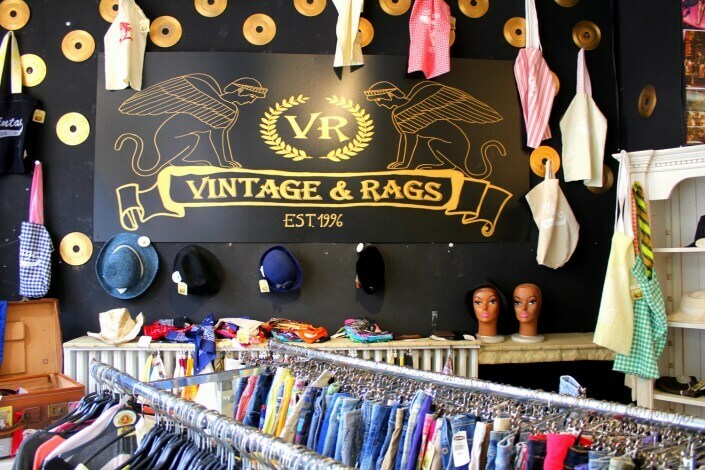 On two floors, Vintage & Rags has everything a vintage lover needs: extravagant hats, retro sneakers, flower-print dresses from the 70s and much more. 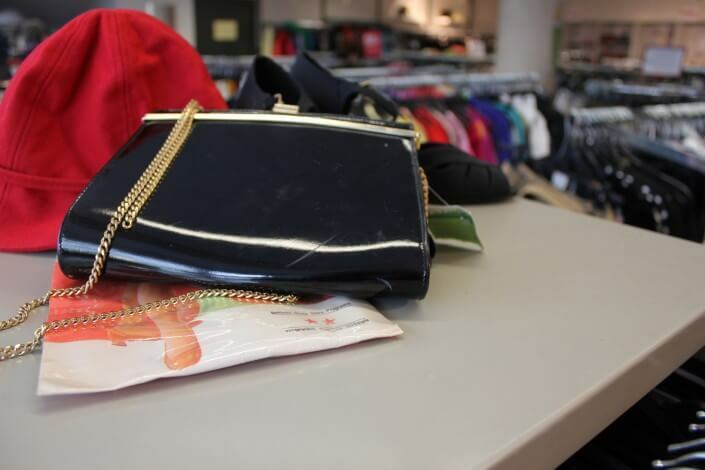 There’s also a few almost-new items here and there, like sunglasses and jewellery. The decoration is incredible – almost a reason in its own right to visit this place. Vintage Emde in the Belgian Quarter is heaven for women and men alike. 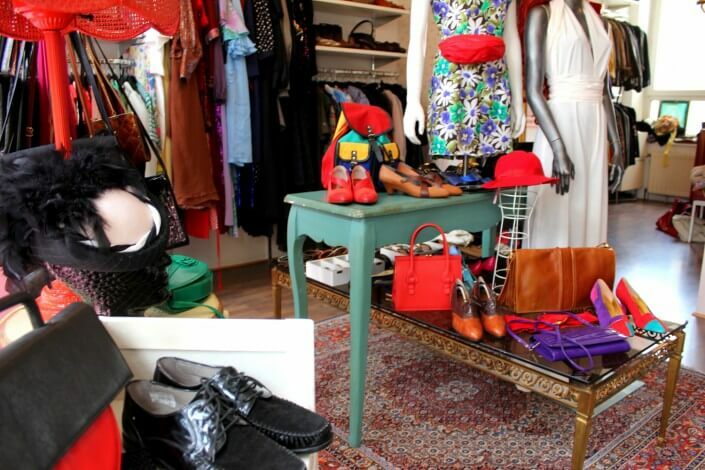 Owners Christian and Stanislava showcase their vintage pieces in the most loving way possible. If you’re like me and you think there’s no such thing as too many shoes and bags, this is definitely the place for you. 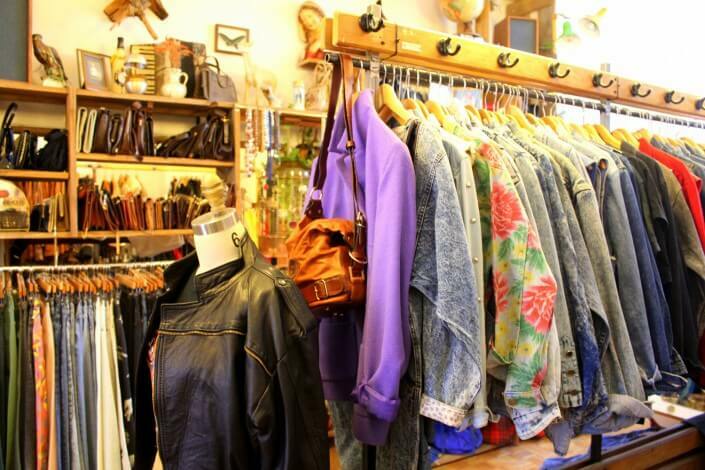 But Vintage Emde also has a full range of clothing in addition to accessories – simply ask for some help if you lose your way. The assistants are always happy to help. And there’s a programme of regular cultural events as well, so be sure to check out the store’s Facebook page before you go. Small on space, big on atmosphere – that’s Polyestershock in a nutshell. 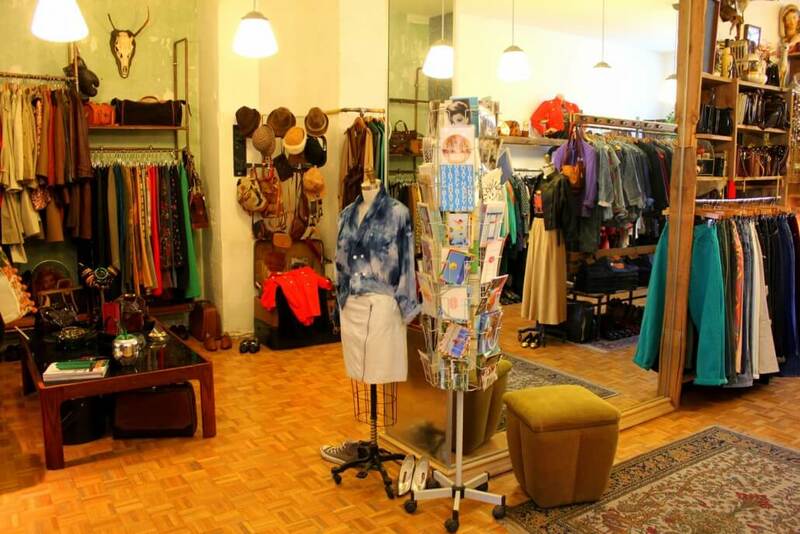 Straight after you walk through the door of this Ehrenfeld gem, it’s plain to see that Anna runs her women’s vintage clothing store with love and passion. 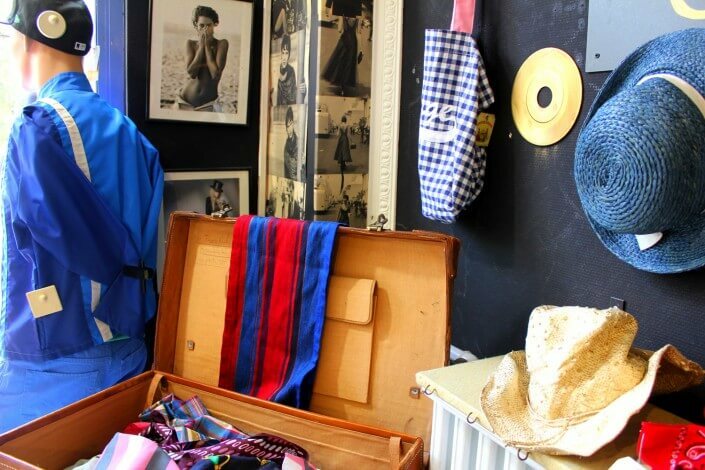 If you walk out empty-handed, you’ve no one to blame but yourself: for if your chosen garment doesn’t fit, Anna will tailor it for you in her small studio. The best thing about that? It’s free of charge! These days, you need to look high and low for that kind of service. 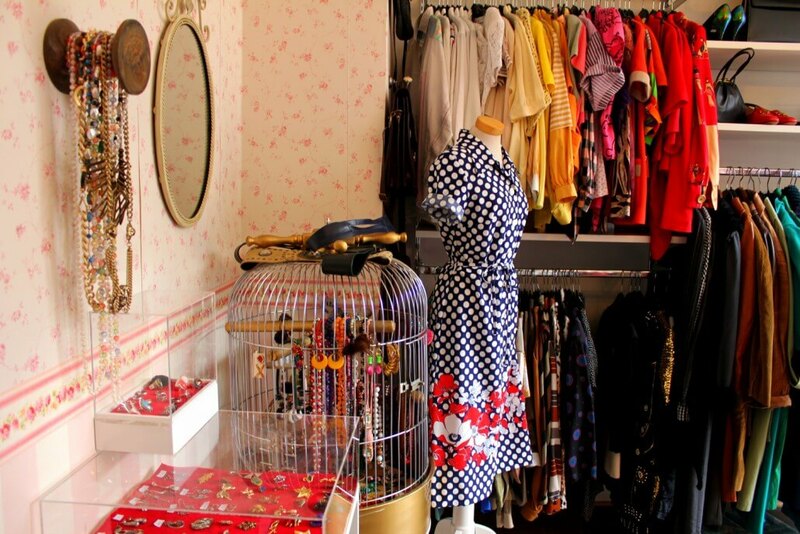 Besides Anna’s wide range of vintage clothing, there’s also some pieces from her own dressmaking studio on the racks. 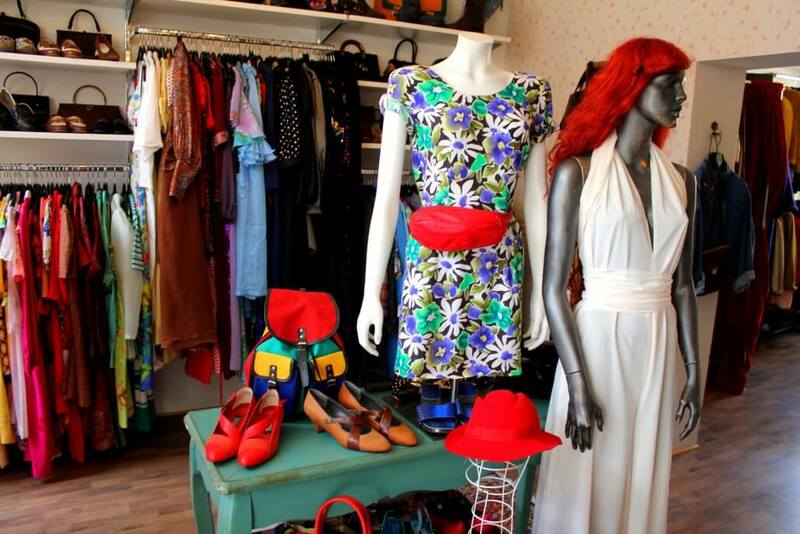 The Nippes branch of Humana second-hand and vintage stores is but young – it moved into its abode in mid January 2016. 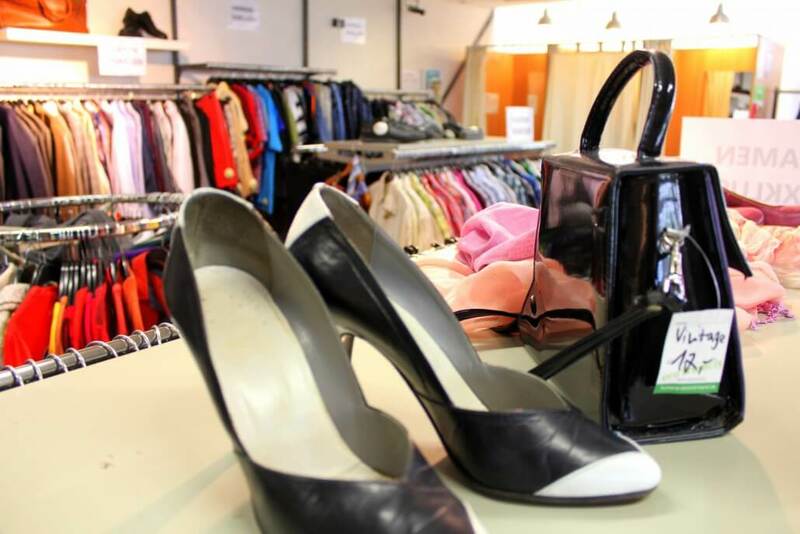 True to Humana’s “clothing for all” principle, prices are low, so sustainable consumption is a possibility for shoppers from all walks of life. And still there’s some incredible finds here. 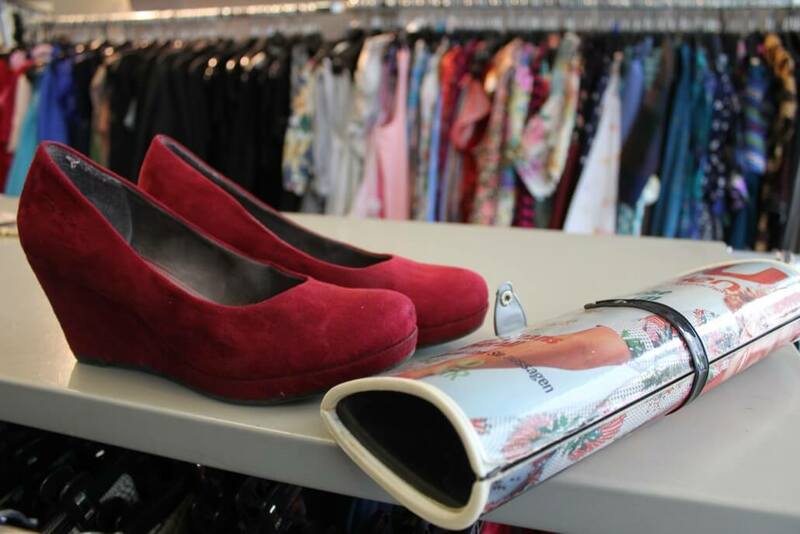 A pair of fancy high-quality leather pumps for ten euros? Don’t mind if I do! But there’s plenty for men on the racks, too. Just drop in, browse for a while and walk out with a couple of delightful steals. Aside from the Nippes outlet, there’s two other Humana branches in the city: one on Hahnenstrasse off Rudolfplatz, the other on Kalker Hauptstrasse. This is really the best shop for vintage stuff. 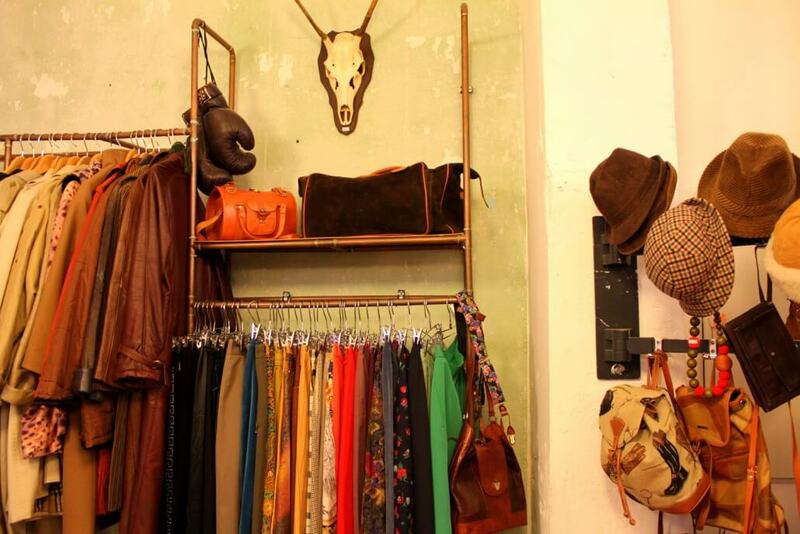 I am a vintage lover and vintage shopping is one of my favourite hobbies. Thank you very much to share incredible information! I am going to visit those stores this Saturday!